Other ingredients: Whey Protein Concentrate, Fat-Reduced Cocoa Powder (10-12%), Artificial Chocolate Flavor, Artificial Cream Flavor, Sodium Chloride, Soy Lecithin, Xanthan Gum, Acesulfame K, Whey Protein Isolate, Sucralose, Dextrose CONTAINS: Milk (whey), Soy (lecithin). Whey Protein Professional is one of the best selling whey proteins available and highly regarded for its premium blend of ultra fast digesting whey isolate and whey concentrate which is rich in whey microfractions beneficial for general immune antioxidant benefits. Whey Protein Professional includes enzymes to help increase protein uptake and thereby boost the rate of muscle recovery yet further. Whey Protein Professional is ideal to rebuild your muscle after exercise. Whey Protein Professional is best used after training and also any time when you have not eaten for several hours so the protein within it can reach your muscles quickly. As a food source, whey should be used year round regardless of if you are dieting or bulking. Whey Protein Professional is suitable for all but particularly important to supplement with for anyone whose goals are to boost muscle gain as quickly as possible. Scitec Nutrition is one of the biggest sports nutrition companies in the world with a huge range of supplements. 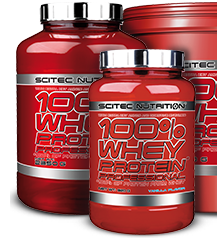 Whey Protein Professional is very much a cornerstone of the success of Scitec providing users with a high quality whey protein in a wide range of flavours. Whey Protein Professional uses both whey concentrate and whey isolate to provided a balanced whey protein blend that is then combined with digestive enzymes and additional free form amino acids to further enhance protein synthesis. With whey protein being very rich in the most important amino acids involved in promoting muscle recovery, Whey Protein Professional provides everything needed in a protein designed at rapidly increasing muscle anabolism while the use of enzymes helps to ensure even those with sensitive stomachs can absorb the proteins more easily. Best post-workout protein shakes. Tastes great and has a nice consistency. Mixes well, not a very thick shake though. Chocolate peanut butter is ok but chocolate was better, plus this is expensive also. There's better out there if I'm honest. Lemon cheesecake is too sweet for me! I do like this brand of whey and normally buy the chocolate flavour which I find tasty. However, I did have a trial size of lemon cheesecake and unless you have a sweet tooth then keep away. The shakes mixes well and does the job. I have bought another tub of chocolate which I would give 5 stars to! Easy to mix...very smooth. Only four stars for me as I have just tried the chocolate and coconut flavour and it had quite a strong coconut flavour...so if you like Bounty Bats, then this is ok for you. 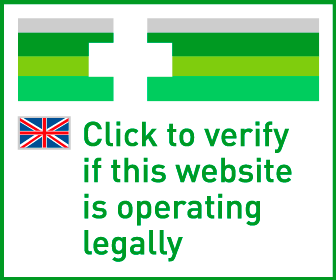 I have used this company’s Whey before and have bought a large chocolate flavoured tub. I always buy this product. It tastes wonderful and price reasonable. Great tasting protein, mixes well and comes in a load of flavours. Well worth it. It may be expensive but that's because of the great contents and taste. The Lemon Cheesecake is yummy and I will definitely repurchase once finished. Cookies and cream is a great flavour for a change. Mixes well and tastes good. Still not as good as some of the other chocolate flavours by Scitec though. Chocolate Peanut Butter is one of my top 3 scitec protein flavours (alongside choc hazelnut and choc coconut). It's pretty awesome, particularly mixed thick to top your oats. These are the best tasting protein shakes I have ever tried. Each flavour I try is better than the last. Didn’t think I would like this but heard good things. In fact it tasted bomb and would highly recommend. Now I need the big tub! These protein shakes make you look forward to another one. Best tasting protein out there! This product will make you look forward to having your next shake. Easy on the stomach also and does not bloat you. This was a sample with my last order. I have just finished the chocolate flavour. Because the powder is fine it mixes and blends easily with or without a metal mixer inside the shaker. I've had chocolate flavours that were overly strong and sweet but this tastes nice and is very enjoyable. Chocolate hazelnut tastes fantastic. The best tasting protein I've had in a long time. A real bargain, having received the Whey Protein 2.35kg I also received mega daily one with a shaker, worth £15.00. Probably my favourite tasting protein out there! This product will make you look forward to having your next shake. Works as intended. Great value for money and I personally believe that this is one of the best deals out there. Highly recommend. The best tasting protein I've ever had. The best tasting protein I've ever had. Mixes fairly easy as well. Would recommend. I got a free sample and drank it after workout, the taste was great and it was easy to mix! Easy gain here, one of the best protein powders out there. Good deal, cheap and the protein is in the good tasting end. Great taste and value for money! Love this protein, there's a good range of flavours and it's great value for money. There's a big range of flavours, it has always been good absorbing with that enzyme complex and there are a lot of servings for a really nice price. One of few cheap good products on the market. Cheaper and good taste but in terms of macros you can find something better. My Best Post-Workout Protein Shakes. Tastes great and has a nice consistency. Got a free sample of this with my last order and have to say was impressed mixes well and tasted really nice. Good tasting whey protein, not the cheapest but it's up there as one of the best I've had. Lemon cheesecake is immense.